Herbert Rollwage was born on 24 September 1916 at Gielde near Goslar in Niedersachsen. He joined the Luftwaffe in 1936. In spring 1941, Rollwage was posted to JG 53. Unteroffizier Rollwage was assigned to 5./JG 53. He claimed his first victory on the opening day of Operation Barbarossa, the invasion of Russia on 22 June, when he shot down a Russian SB-2 twin-engined bomber. By 5 October he had claimed 11 Russian aircraft shot down, including three victories recorded on 27 August. II./JG 53 was transferred to the Mediterranean theatre in December 1941. By the end of October 1942, Rollwage had claimed 20 British aircraft, mainly RAF Spitfires, shot down over Malta. He was shot down in aerial combat over Koufonisi island on 10 November 1942 in Bf 109 G-2 (W.Nr. 105 00) “Black 5”. Rollwage force-landed his damaged aircraft having also received wounds in the enagagement. Operating over Tunisia from December 1942, Oberfeldwebel Rollwage claimed a further six victories. On 2 March 1943, he was shot down in near Pont-du-Fahs following an interception of USAAF B-17 four-engined bombers as they approached Bizerta. Escorting RAF Spitfires chased Rollwage hitting his Bf 109 G-4 (W.Nr. 160 67) and wounding him. He force-landed his shot up aircraft near Bou Arada. It is thought his victor was the British ace F/Lt Roy Hussey (12 confirmed, 1 probable and 4.5 damaged victories, KIFA 20 February 1945) of 72 Sqn, RAF. Relocated to Sicily in May 1943, Rollwage claimed a further 10 victories, including two four-engined bombers. He recorded his 40th victory on 13 June 1943. On 10 July, Rollwage was badly wounded in aerial combat near San Pietro but managed to regain his base although his Bf 109 G-6 (W.Nr. 182 42) was classified as 100% damaged. Rollwage spent several months in hospital as a result. Rollwage returned to combat duty and 5./JG 53, now based at Vienna-Seyring in Austria operating on Reichsverteidigung duties, in December 1943 after recovery from the wounds he received in July. He had 47 victories to his credit at this time. He recorded his 50th victory on 22 February 1944, a Herausschuss of a USAAF B-24 four-engined bomber between Altötting and Straubing.  Rollwage was awarded the Ritterkreuz on 5 April for 53 victories. He recorded his 60th victory on 27 May when he shot down a USAAF P-51 fighter near Rambervillers. 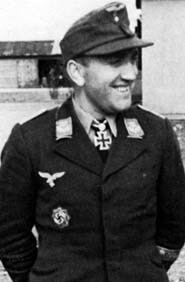 On 10 August 1944, newly promoted Leutnant Rollwage was appointed Staffelkapitän of 5./JG 53. He recorded his 70th victory on 25 November when he shot down a US Army reconnaisance light plane near Mommerheim. Rollwage left II./JG 53 on 5 December 1944 having been assigned to 2./JG 106 as an instructor. Leutnant Rollwage was awarded the Eichenlaub (Nr. 713) on 24 January 1945. In early April 1945, Rollwage returned to II./JG 53. It is thought that he never officially returned to the Gruppe, rather that after II./JG 53 moved to Ulm-Ristissen, the former base of II./JG 106 which was being disbanded, Rollwage attached himself to II./JG 53 where he stayed until war’s end. He gained a number of victories with the unit. Rollwage survived the war. He died at Gielde on 4 January 1980. Herbert Rollwage’s victory total is not known for sure but he did fly a total of 664 missions. It is known he was credited with 71 victories, including 11 recorded over the Eastern front. It is thought his final total may be between 80 and 85. Some sources credit Rollwage with 102 victories, including 44 four-engined bombers but it is thought that this number is in error.